The Education Career Stabilization (ECS) program provides non-prior service applicants the opportunity to serve in the Army Reserve and complete up to four years of a college education without being deployed to support Operation Iraqi Freedom or Operation Enduring Freedom (Afghanistan). It's important to note that this program only offers a guaranteed deployment deferment for the above two operations. It does not exempt Soldiers from a new federal mobilization under Presidential authority. For example, if your unit is scheduled to deploy for a new operation against Iran or North Korea, or in Africa, you would not be exempt from deployment. Those who enlist for an 8 year active (drilling) enlistment can receive deferments of up to 4 years. 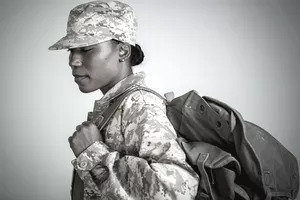 Those who enlist for 6 years in the active (drilling) reserves, followed by 2 years in the Individual Ready Reserves (IRR) can receive deferments of up to three years. Applicants who request deployment deferments under the program for more than two years are not eligible for any other enlistment incentive. Applicants who are deferred for two or less years may be eligible (depending on ) for a $10,000 enlistment bonus, $20,000 and Montgomery GI Bill kicker ($350 per month). Want to learn more about Army enlistment incentives? See our Army Enlistment Incentives Menu.